Goldfish are hardy freshwater aquarium fish who can withstand even bad water conditions, but they shouldn't have to. 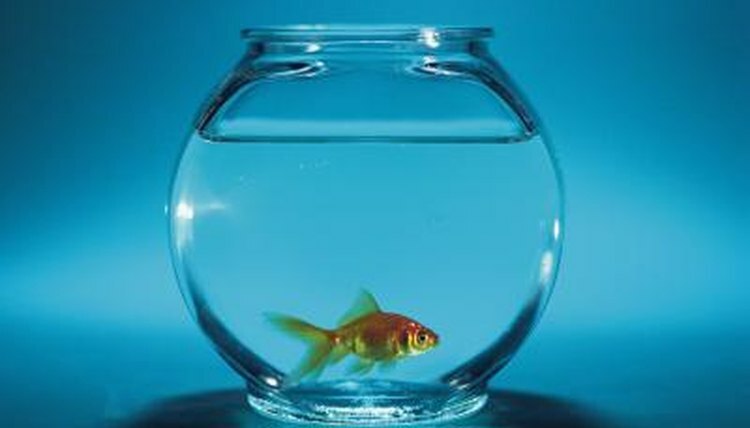 You want to make sure to provide your goldfish with good water so they can live a long, healthy life. A little algae is good to have in your aquarium; it's actually a good part of your goldfish's diet. They will nibble algae in the tank, but if you don't watch out, the algae can take over and become very unsightly. If you don't have a filter and you don't perform regular water changes, you'll notice more algae growth in your aquarium; in addition to getting algae-eaters, you should install a filter and do partial water changes, as goldfish produce a lot of waste. If you have moderate algae growth, an algae-eating fish can help control the excess. Keep in mind that goldfish produce a lot of ammonia, and they thrive best in water that is between 68 and 72 degrees Fahrenheit, making it a little hard to find an algae-eating fish to pair with them, as most are tropical fish who prefer higher temperatures. Only two algae fish are recommended for a goldfish aquarium—the rubber-lipped pleco and longfin bristlenose pleco. Rubber-lipped plecos are fairly peaceful algae-eating fish, so generally they will not bother your goldfish. They also do well in water temperatures between 70F and 78F, so their temperature range is within that of most goldfish aquariums. This species eats primarily aglae, but you want to supplement with vegetables, like zucchini, and algae-based commercial foods (which can be purchased at your local pet store). With a varied diet of tank algae, vegetables and commercial foods, the pleco will most likely thrive without bothering your goldfish. Longfin bristlenose plecos are also a peaceful pleco species and considered a great community fish, but they can be semi-aggressive with other plecos. They thrive in waters between 72F and 84F, which is on the higher end of your goldfish tank temperature. As with rubber-lipped plecos, you want to offer a varied diet of regular tank algae, vegetables and a commercial food. By keeping the diet varied, you will maintain the health of your plecos. Some goldfish keepers have seen other pleco species turn on their goldfish and start feeding on the natural slime that covers their bodies. The slime is a protective covering that shields the body from bacteria, and if it is removed, bacterial sores can develop on your goldfish. If you do keep rubber-lipped plecos or longfin bristlenose plecos in your aquarium, keep an eye out for any sores on your goldfish. Goldfish Connection: Plecos in the Goldfish Aquarium?